In a large non-reactive bowl, combine lime juice, scallions, cilantro, basil, and jalapeño. 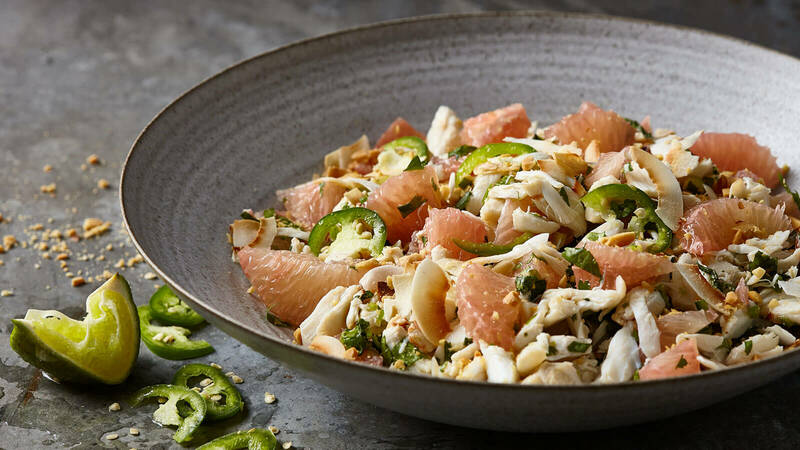 Add crab meat and grapefruit or pummelo pieces and toss gently to combine, being careful not to break up crab meat. Refrigerate at least one hour before serving. To serve, top salad with peanuts and coconut flakes.